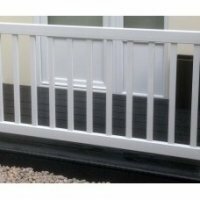 A range of balustrade for caravan or mobile home decking, choose from 36” or 42” balustrade. The balustrade system looks great, is maintenance free, and will not crack, split or need repainting like wood. 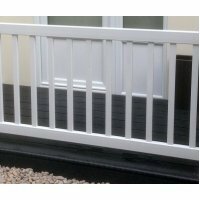 If you have any questions please contact us for more details on caravan decking and balustrade systems.